A new, more accurate method for measuring protein quality lists dairy proteins as one of the highest-quality sources available. The Food and Agriculture Organization (FAO) previously recommended using the digestible indispensable amino acid scores (DIAAS) for the most correct protein quality measurement. Now, after more than 20 years as the selected method, the protein digestibility-corrected amino acid scores (PDCAAS) could be replaced with DIAAS. Here’s why, and why no matter the method, dairy remains one of the highest scoring protein sources. Researchers at the University of Illinois determined protein quality by following the new method recommended by the FAO. The study assessed eight protein sources: whey protein concentrate, whey protein isolate, milk protein concentrate, skimmed milk powder, pea protein concentrate, soy protein isolate, soy flour and whole-grain wheat, based on standardized ileal digestibility of crude protein and amino acids (aka DIAAS). Results suggested that all dairy proteins tested can be considered “excellent/high” quality (scoring above or equal to 100) for people six months of age and older, ranking higher than soybeans, peas and wheat. 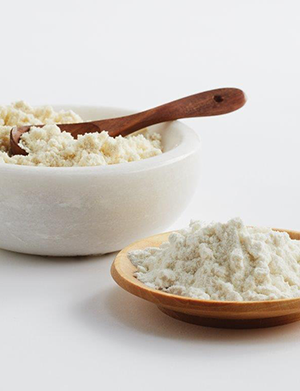 Soy protein isolate and soy flour qualified as “good” sources of protein, with a DIAAS score between 75 and 100. Pea protein and whole-grain wheat concentrate scored below 75. When protein quality is calculated using the PDCAAS guidelines, these same protein sources are sometimes shown to be inflated. Given that the University of Illinois study showed that PDCAAS overestimates the protein quality, researchers concluded that DIAAS more accurately portrays protein quality. Nonetheless, dairy proteins remain the highest quality protein source. For more information on dairy proteins and the benefits high-quality proteins have on consumer health and wellness, explore downloadable resources and insights on ThinkUSAdairy.org.